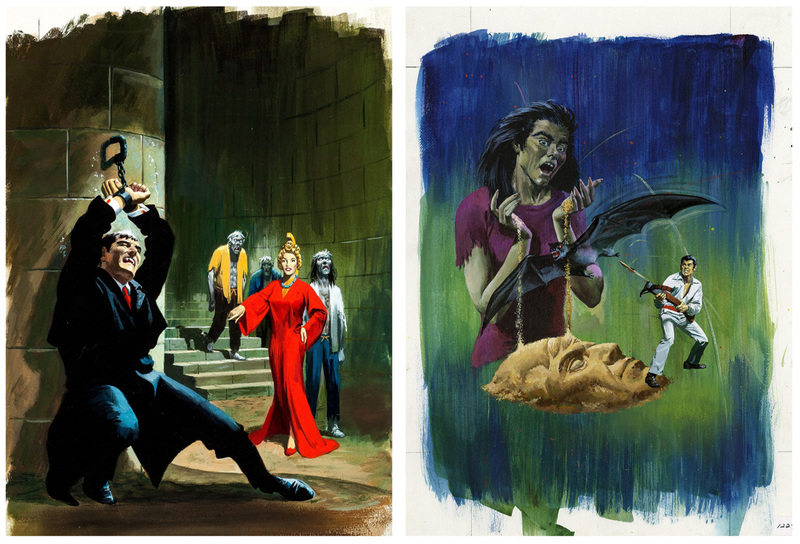 Gold Key was a comicbook publisher that never made much sense to me as a child. Even as a child it was obvious to me that the company was letting its licensed properties do all the heavy lifting. 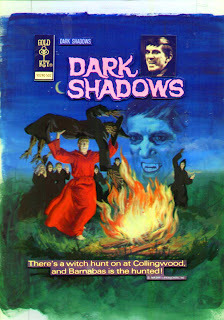 The publisher seemed to believe kids would buy anything as long as it had their favorite characters on the cover and, looking back at how long they made this business strategy work, they might not have been wrong. They managed to keep a STAR TREK comic in print for almost a decade, a feat that even Marvel and DC haven't been able to pull off. In a sense, Gold Key was simply a company ahead of its time. By the 1990s, the major comics publishers had adopted a similar business model when they began to put a disproportionate amount of labor into the covers of their books, consequently neglecting the stories and art inside. Today, most independent comics publishers operate very much like Gold Key did in its prime, by staking a claim to any licensed property it can (whether it's VOLTRON, GHOSTBUSTERS or even DARK SHADOWS) to help support their original properties. But damn, there's no denying that Gold Key knew how to package a book. While modern comics publishers sometimes fall back on die-cut covers, glow-in-the-dark ink and other gimmicks, Gold Key regularly smoked their competition with nothing more than a little watercolor and acrylic paint. Their books might have sucked, but they created some of the best (if under-appreciated) comics covers ever produced by the medium. 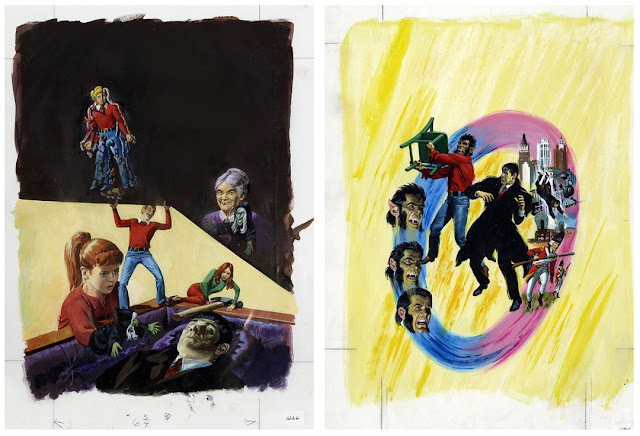 "I found only fragmented information on this artist who painted Gold Key’s covers. I have no birth date or place. He was in Normandy in the European theater in WWII. This suggests that he was born in the 1920s. He passed away on December 7, 1999. He was a prolific artist who did painted acrylic covers for paperback companies like Harlequin and Avon. His painted comic cover work was done for Classic Illustrated, Dell and then Gold Key. 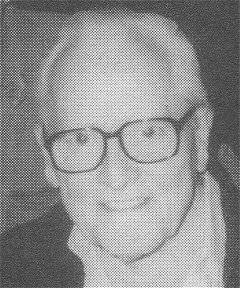 He did the covers for Turok, The Twilight Zone, The Phantom, Boris Karloff, The Outer Limits, The Jungle Twins, Brothers of the Spear, Star Trek, etc. 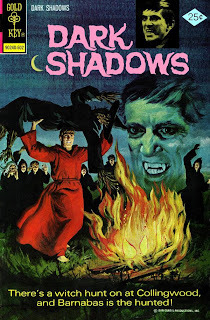 His work on the 15 Avon Phantom paperbacks is a favorite series in my collection." Part of Wilson's low profile comes from working for Gold Key, which relied almost heavily on licensed properties. He was also part of a generation of comic creators who saw their profession as a job, and rarely gave much thought to the dubious celebrity it brought with it. 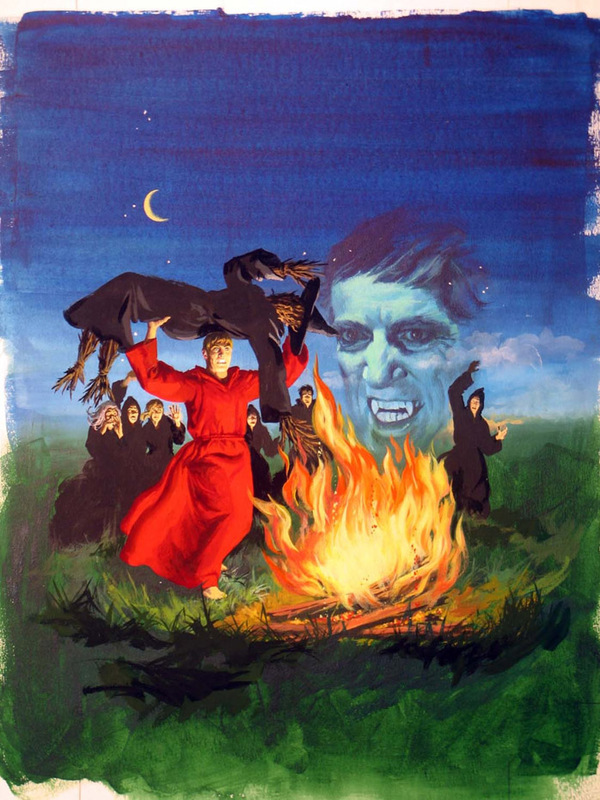 While the relative merits of Gold Key's books are debatable, it's hard to dispute that Wilson was an incredible talent whose work improved whatever book that accompanied it. 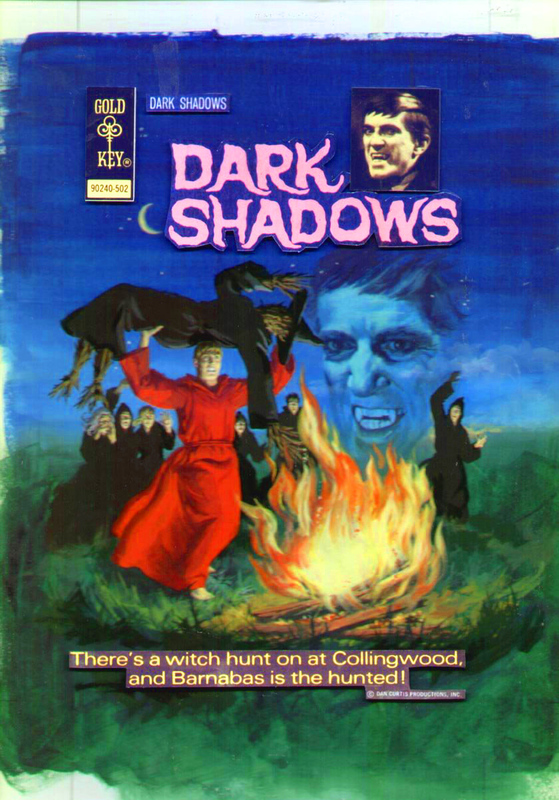 At the top of the page is Wilson's original comic art for issue #30 DARK SHADOWS, which was recently used as the cover for Vol. 5 of the Hermes Press reprints of this series. The next two images show the cover with the "paste up" lettering, and the final cover as it appeared in print. 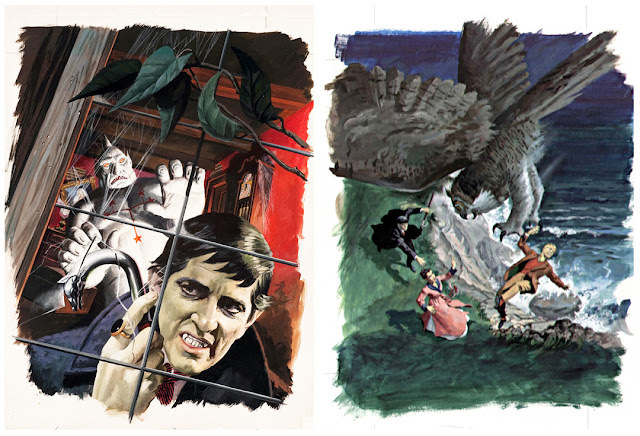 If you want to see more of Wilson's work, check out this terrific gallery of his comic art.